How one eats may be the best exercise of politics that one can make. At Estacion Biologica, we try to follow the principle "think globally, eat locally". 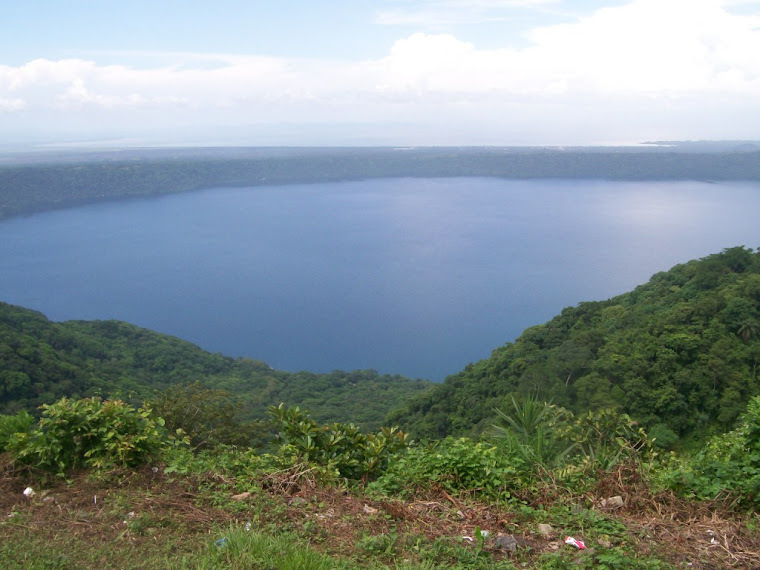 We purchase beans from the Ebert Silva Cooperative in Laguna de Apoyo. Other provisions are purchased from national producers, whenever possible from small-scale farmers. Thanks to prior rural development projects executed throughout Nicaragua, one can find lettuce and other green vegetables grown organically in Nicaraguan small farms. Organic food and fresh products from small-scale producers are our priority! 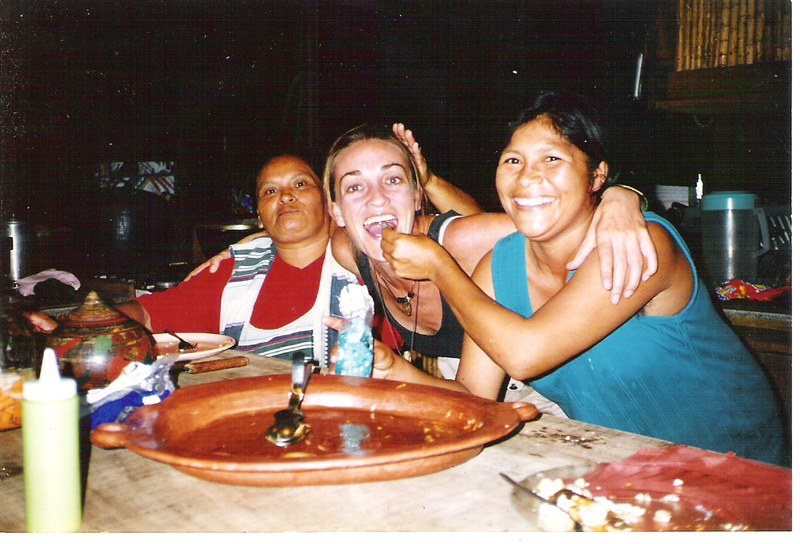 We serve freshly cooked food, avoiding whenever possible, processed foods and foods imported from outside Nicaragua. Our cooks produce healthy meals from "scratch". 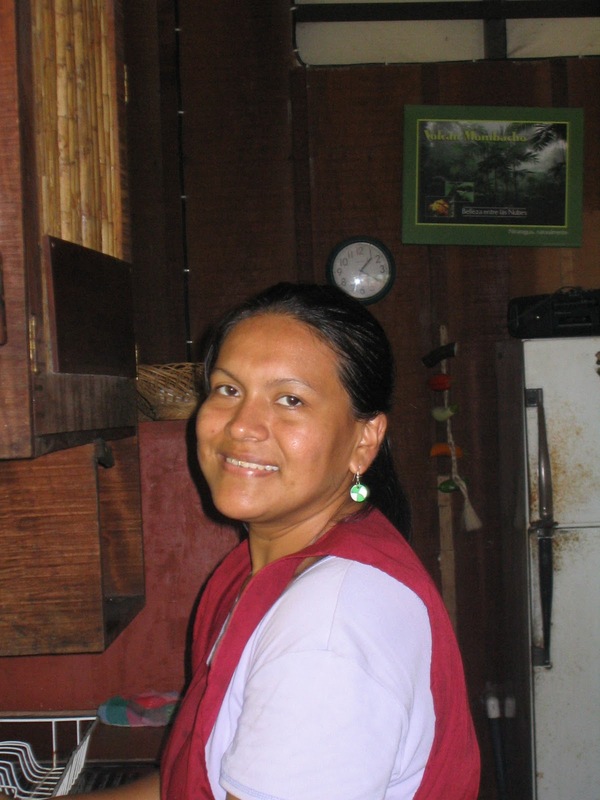 Breakfasts include fresh milk, granola, fresh fruit, eggs and "gallo pinto", and the best Nicaraguan coffee available. Our kitchen is open-air and informal, and our meals are simple, healthful, and made with locally produced products. 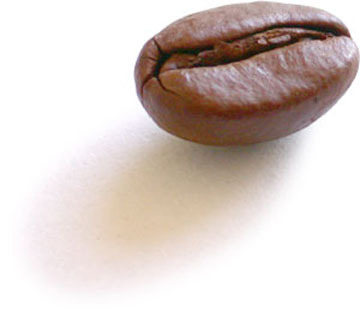 We serve fresh-brewed coffee, freshly ground from whole beans, the best available in Nicaragua! Our cooks have fun! We serve three meals a day and you are welcome to join us for a meal, a day, or longer. Unlike most establishments, all our workers receive meals and they eat what our visitors eat. 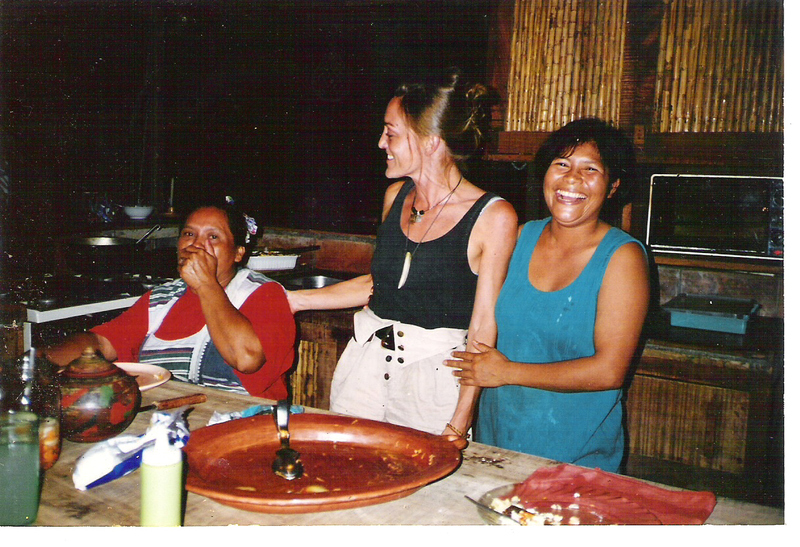 We emphasize good nutrition to our workers is as important to them as to our visitors. 2. Buy as local as possible. 3. Buy from small farmers. 4. Buy from farmers organized in cooperatives or other kinds of associativity. 5. Avoid processed and packaged foods. 6. Buy from certified farmers and promote certification processes for socially and environmentally favorable production. 7. Promote food security strategies by purchasing food products that are compatible with local production and consumption. When you eat with us, we hope you learn about food in Nicaragua and contribute to good development strategies by eating correctly and well.